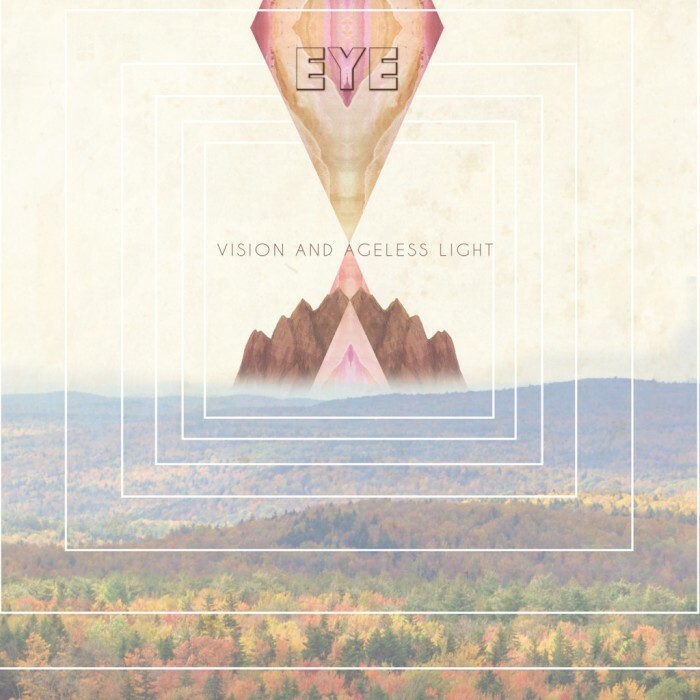 There’s a line to follow, something like a trail EYE leave for their listeners to lead them into their third album, Vision and the Ageless Light. It would be cruel on their part to offer no guidance whatsoever for their debut offering through The Laser’s Edge, which basks in space ritualizing in an increasingly immersive pattern from three-minute opener “Book of the Dead” through the 27-minute, multi-tiered finale “As Sure as the Sun.” All flows as one piece, at least where they want it to, and all comes across in a gorgeous wash of synth, guitar, and vocal harmonies, building on what EYE accomplished with their last outing, 2013’s Second Sight (review here) and their 2011 debut, Center of the Sun (review here and here), while finding new avenues of texture, atmosphere, and dynamic throughout. The band has been through some key changes in the last three years, bringing in guitarist Jon Finely and bassist Michael Sliclen alongside founders Brandon Smith (drums and vocals) and synth/Mellotron/Moog expert Lisa Bella Donna (also vocals and acoustic guitar), but the core of their sound in heavy progressive rock remains well intact and undiminished, and if anything, the patience they show early on in the record, the boldness of their craft on “As Sure as the Sun” and the overarching flow across Vision and the Ageless Light in its entirety make it plain that not only have EYE not lost a step since Second Sight, they’ve only continued to grow and move forward in their creative breadth — which should be the ultimate endgame of anything bearing a “prog” label of any kind. I’m not sure it needs to be said, but EYE earn theirs outright, and Vision and the Ageless Light is a cosmic adventure that moves inward and outward in kind and for all its indulgence — nature of the beast for a release of this kind — it never leaves those making the journey with it alone on the path it lays out. Nor, like its full-length predecessors or other offerings like the Wooden Nickels single (review here) or the Live at Relay tape (review here) in 2013, does it shy away from beauty. To wit, the synth/acoustic mindmeld of the penultimate “Dweller of the Twilight Void,” which one invariably has to hear as the closer for side A of Vision and the Ageless Light given the breadth that unfolds thereafter. With the introductory “Book of the Dead,” the spacial Hawkwindian shuffle of “Kill the Slavemaster,” and the sleeker thrust of “Searching” before it, “Dweller of the Twilight Void” offers a surprising turn toward serenity, offering highlight vocal harmonies and a patience that “Book of the Dead” hints at in its relatively brief 3:35 unfolding and agenda-setting blend of Mellotron and synth, but gives way to the initial roll of “Kill the Slavemaster” before it can fully develop as an entity of its own. The smoothness of that transition is not to be understated, however. Side A of Vision and the Ageless Light functions no less as a single work than does “As Sure as the Sun” as it pushes the limits of side B (if it doesn’t actually surpass them — can a 27:11 track fit on a vinyl side? ), despite the shifts in vibe and purpose throughout. “Kill the Slavemaster” plays organ and guitar leads off each other to exciting effect in its midsection after establishing its hook early, then moves into bass and key-led jazz as the foundation for its turn back to where it started, some backwards guitar tossed in for good measure along the way. From there, EYE only continue to go further and further out. The opening lines, “Pay no mind to what you see/You were not born for the grave,” ooze with headphone-worthy melody over acoustic strum and various kosmiche psychedelics, and though I can’t help but be reminded of lost Belgian troupe Hypnos 69, in reality it’s probably more a common latent Pink Floyd/King Crimson influence than anything so direct. Wherever it comes from, EYE make it their own here with no need to repent in the process because there’s no doubt of the traditions to which they’re playing. 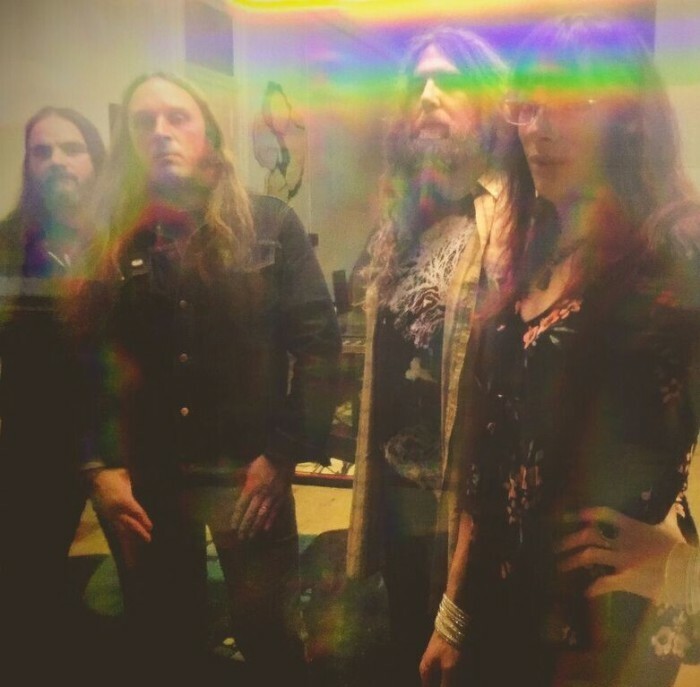 After three minutes in, Bella Donna‘s keys come to the fore in a mini-freakout, and while the guitar line holds underneath, and it’s strum and underlying Mellotron that actually finish the song, it’s clear they’re not coming back from that voyage. So ends side A, and on side B, “As Sure as the Sun” begins with its title lyric, again, gorgeously harmonized, near-Beatlesian, before a Mellotron progression is established and the full scope of layers begins — but only begins — to show itself. Acoustic guitar, electric guitar, more devices than I can name come into play before EYE are two minutes deep into “As Sure as the Sun,” and the song has barely started. Drums don’t even show up until after the next movement, more cinematic, dramatic, a drone emerging that leads to a faded-in winding guitar figure that Smith joins at 5:20, not crashing in in grandiose style, but showing up right when he’s needed all the same with hit and rolling toms and immediately backing a shredding guitar solo that gives way to Mellotron wash before a snare roll turns back to that winding figure — different now, with more keys — and a more peaceful section that marks a reintroduction of more commanding vocals, more declarative in the classically progressive sense of intonation, and over the next few minutes, EYE rock out, fall into a singularity of synth and rock out again, finding shuffle in all that mystery circa 14 minutes in as swirling vocals underscore the idea that all this — all of it — is a ritual at work. It’s an active finish — they’re not still by any means — but the sense of control that EYE have displayed all throughout the record and that steady, guiding hand never seem to lose their place. That would seem to be the clearest signal of all throughout Vision and the Ageless Light of EYE‘s utter mastery of their form, but that’s not necessarily meant to take away from the impact the songwriting across their third long-player has either. In a still-manageable five tracks/46 minutes, their craft brings them to places they’ve never been before and finds them not only covering this new sonic ground but establishing their claim on it, and once more, inviting those listening to be a part of that happening. It is not an invitation that should be in any way refused. This entry was posted	on Thursday, November 17th, 2016 at 11:35 am	and is filed under Reviews. You can follow any responses to this entry through the RSS 2.0 feed. You can leave a response, or trackback from your own site. There goes another 0.337 seconds.